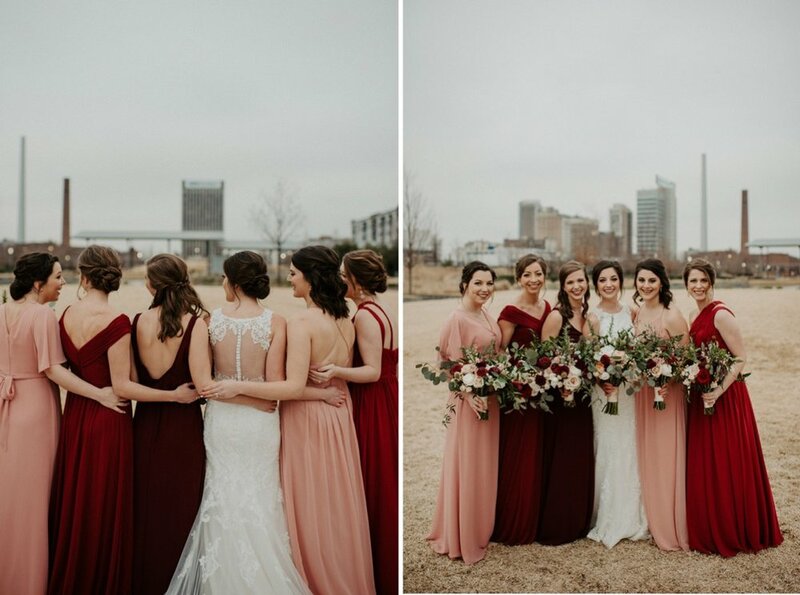 Morgan and Trent's Industrial Downtown Birmingham Wedding | Alabama Wedding Photographer — Madeline Rose Photography Co.
Oh Trent, it all begins at the beginning. But no seriously, Trent is my oldest friend in the world. We met when we were babies, BABIES, as our mom’s quickly became best friends. Then fast forward 25 years and here I am photographing his wedding. Two members of Trent’s wedding party are middle school friends that I went to school with too! If you wanna see all of us, scroll to the bottom to see the whole gang back together. 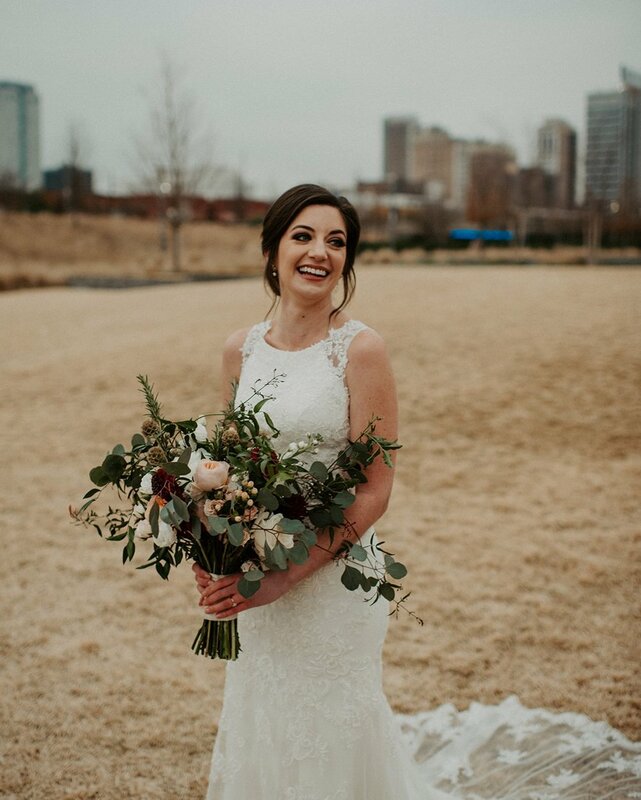 I was able to meet Morgan, his fiance over Facetime and managed to keep back tears as they asked me to be their wedding photographer. 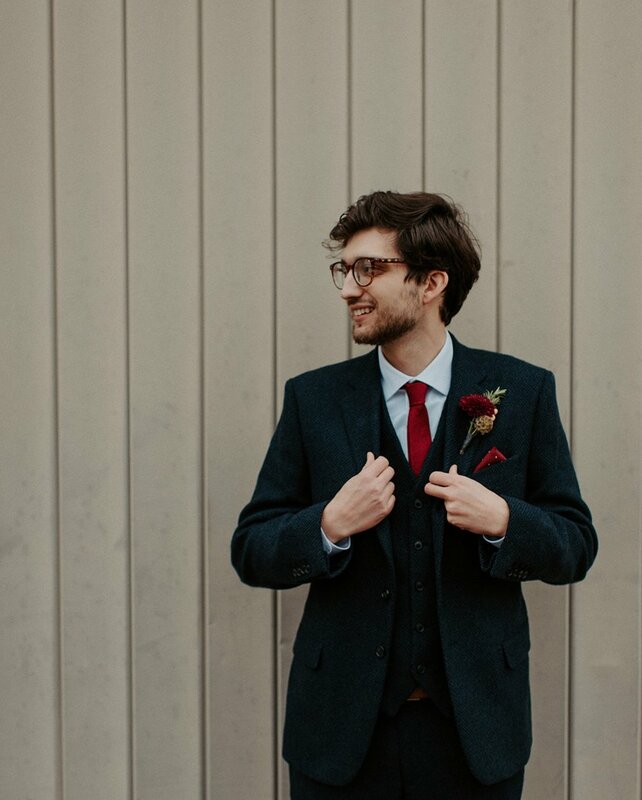 Being able to serve Trent and his family (who are like my second family) is the greatest job I could ever have, and not something I ever thought I’d be able to do when I started on out this photography journey.­ Not to mention seeing him with the most wonderful woman I could imagine. 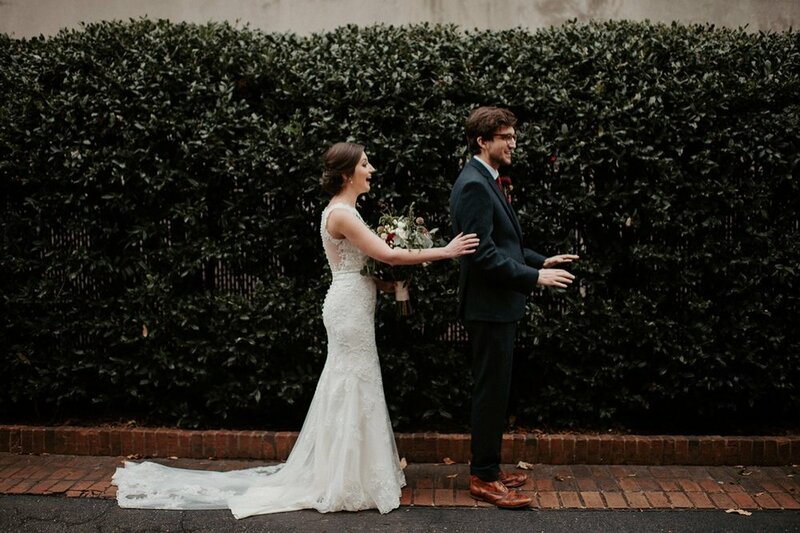 To top it off, after their fall engagement photos in their current home of Knoxville, I was even more excited. 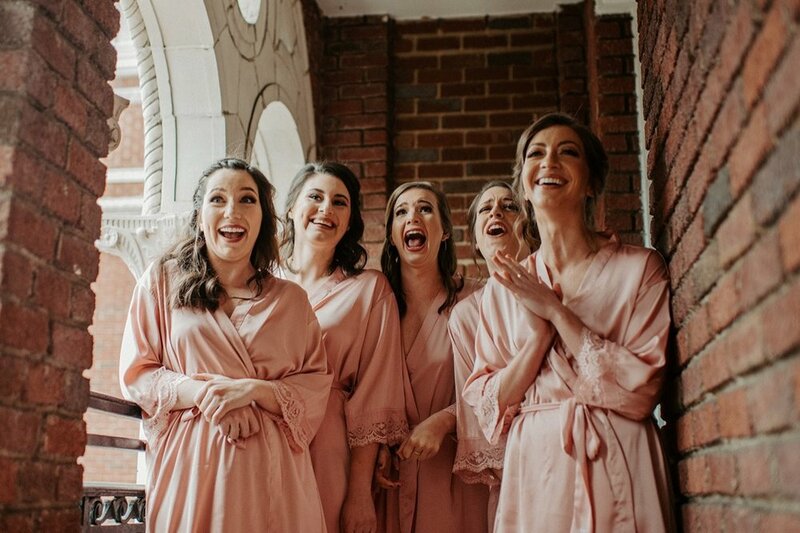 The wedding party was getting ready at the GORGEOUS The Tutwiler Hotel in downtown Birmingham.­ The ladies had La Croix toast and a bridesmaids first look that brought on all the tears. Being a middle school librarian, Trent always has the perfect book recommendation for you. 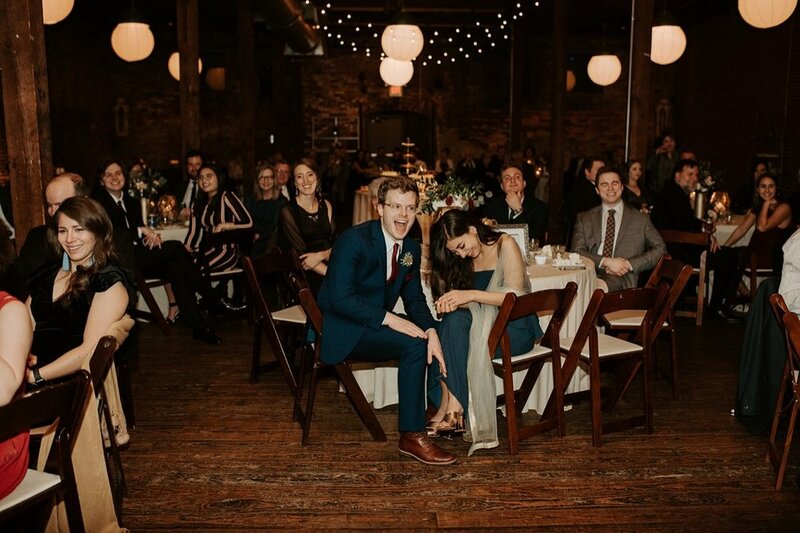 It made perfect sense that his gift to his wedding party was a book he had picked out for each of them with a letter written inside. 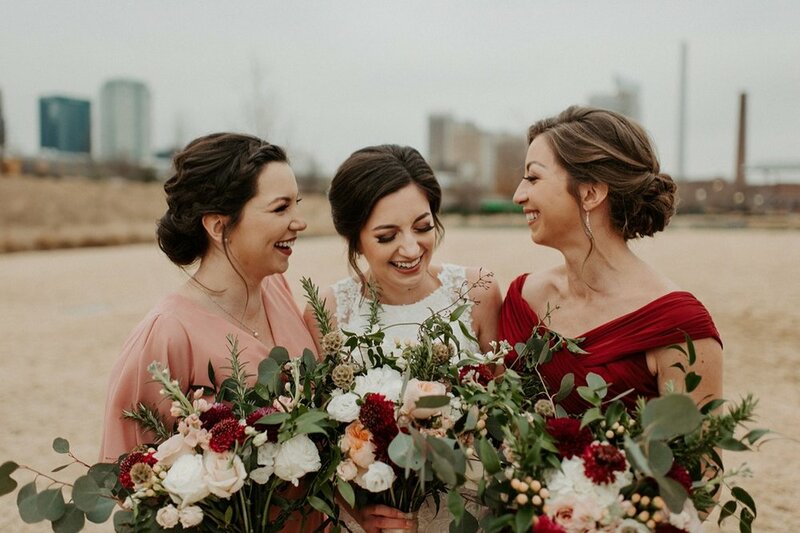 Because the ceremony was during the evening and an early winter sunset, we finished wedding party photos at the reception venue, soaking up as much of their gorgeous venue! 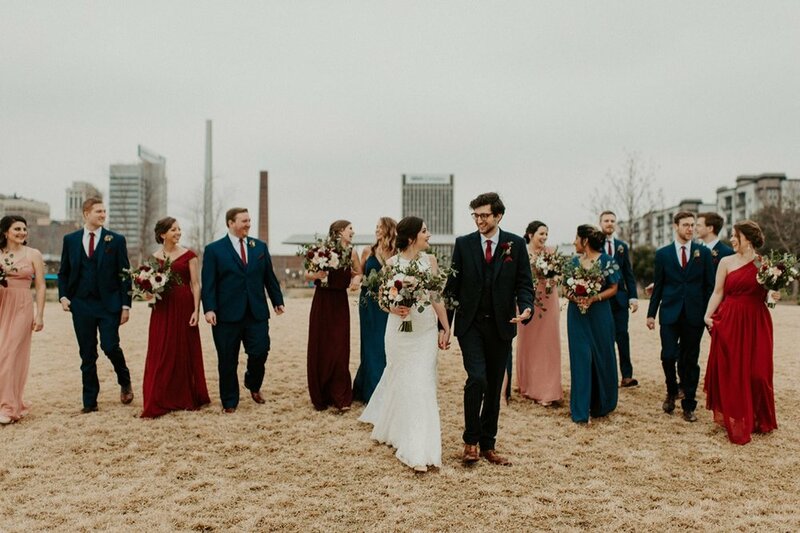 Their ceremony was at The Cathedral of Saint Paul, among the insane architecture of 1832, in the heart of historic Birmingham. 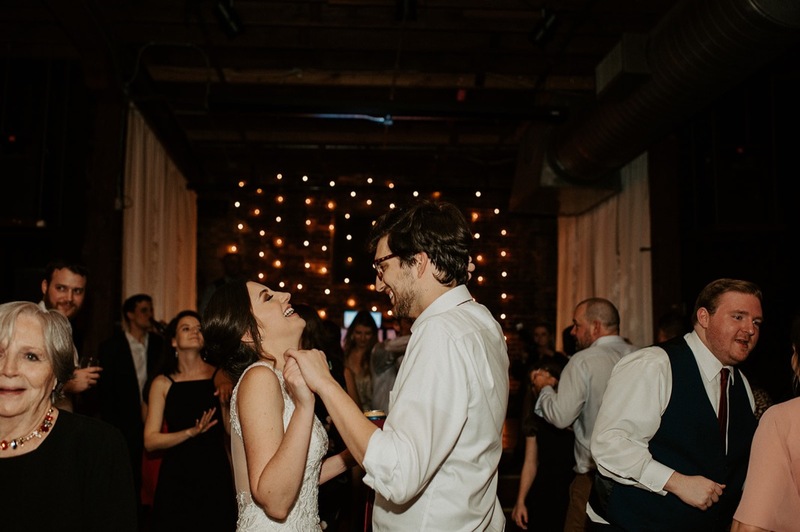 After the ceremony shuttles whisked us all over to B and A Warehouse, which is a gorgeous industrial loft space with lots of brick and wooden beams. The florists transformed the space with candles, lanterns and deep burgundy florals. 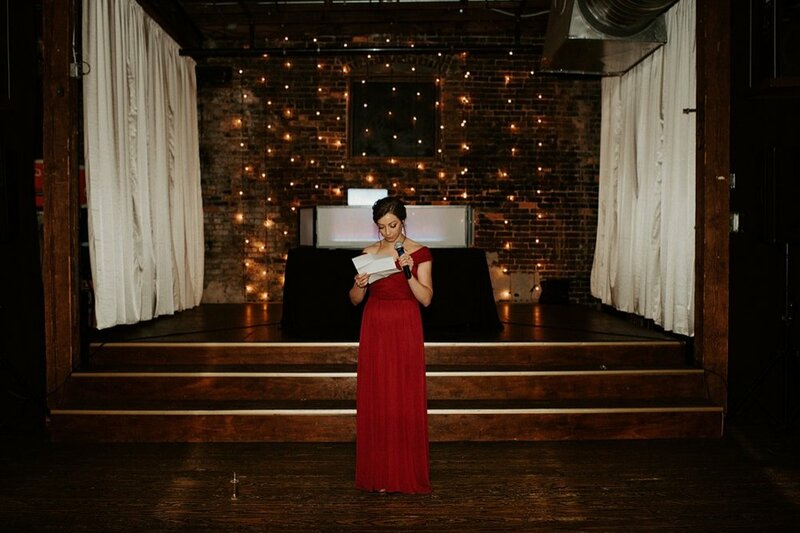 One thing I can not, can not, recommend more is making sure you prioritize yourself during your wedding. Morgan and Trent had dinner alone while their guests sipped drinks during cocktail hour. Build in time to enjoy and savor your wedding! 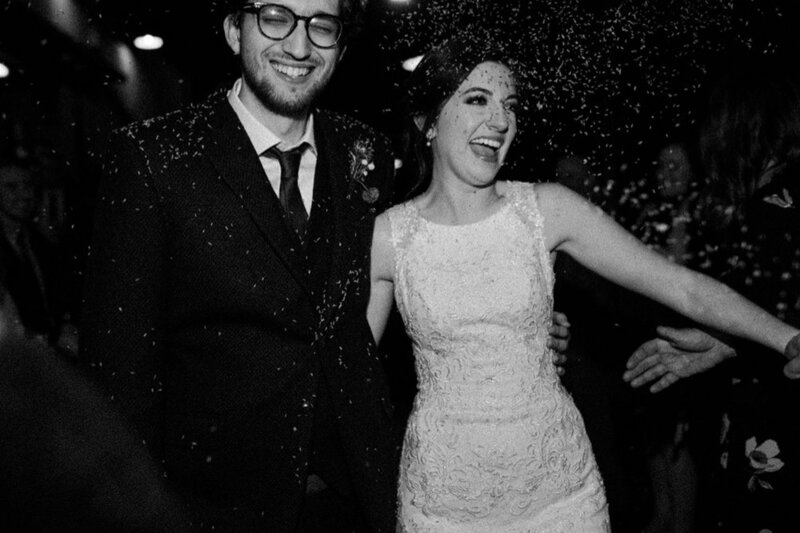 Tons of dancing, laughter and a good time and then everyone sent them off as husband and wife with a lavender exit! Yup, lavender. Which is an eco friendly option btw. Morgan and Trent, I am still in awe of your relationship, your wedding and your asking me to be a part of something so special. I wish you all the best in your adventures and can not wait to see the deep and growth you two will journey into together. From babies to babes, forever friends we will be.